After making–and falling completely in love with!–my Brown Soda Bread with Steel Cut Oats, I was contemplating fun ways to use it for a simple meal. Given an overload of eggs from our backyard chickens, I knew I wanted to put some of them to use. I had also been thinking about the traditional cream cheese and lox and using the bread instead of a bagel. So, I combined the two ideas and replaced the cream cheese with a healthier “schmear” of avocado. The end result was nothing short of heavenly! 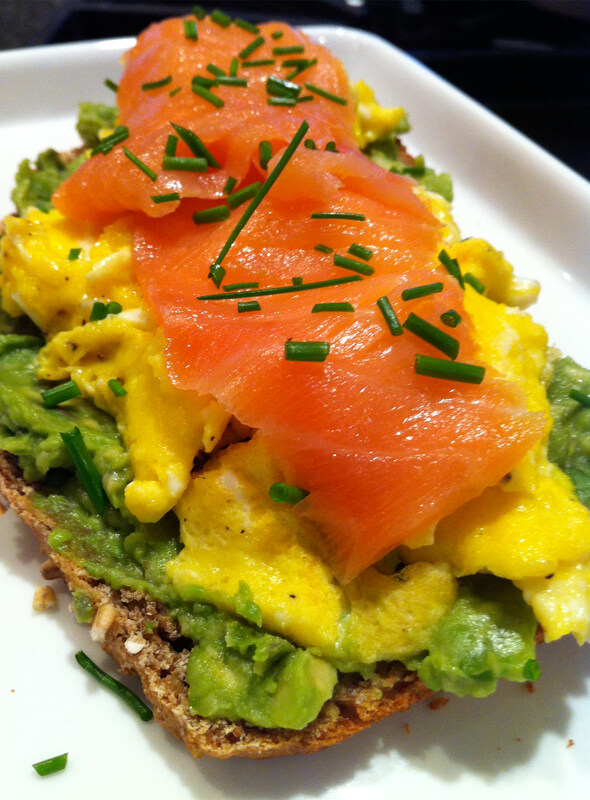 Toast the bread and spread with the avocado. Precise amount of avocado will be based on size of bread, size of avocado and personal preference. I like a somewhat thick layer. Top with eggs and salmon, and then garnish with chives.